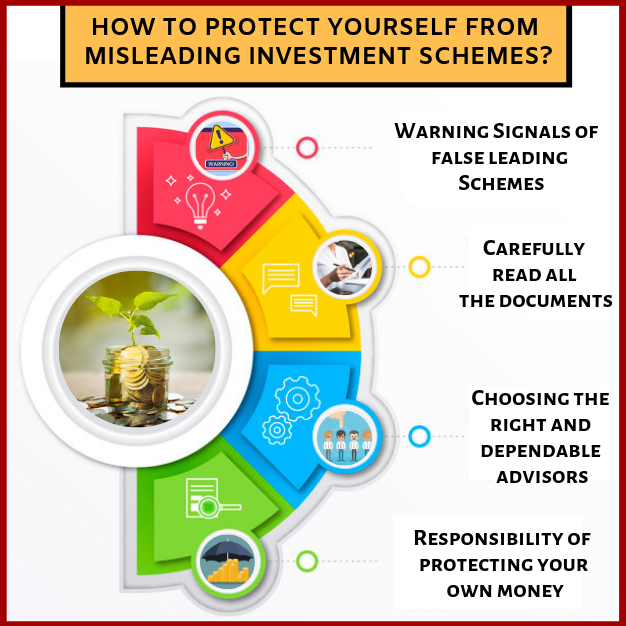 How to protect yourself from misleading or fraudulent Investment Schemes? Every now and then, one gets to read some kind of fraud investment plans or fake how-to-get-rich-quick schemes. Having a deep thought over such incidents, we may realize that these scams are a reflection of our own over-attraction towards the investments, which yield good returns. But in such temptation of ours, have we ever thought of the danger or difficulty (risks) involved in the process. The never-ending selfish of making ‘easy money’ out of these flashy or cheap attractive way schemes is so intense that sometimes it even control over the financial wisdom of the investor. But, from our (the investors) point of view, it is very necessary to be careful to avoid danger of such mislead schemes. This is necessary to protect one’s hard-earned money from getting dry away without a second thought. Also, coming to investments part, we ignore the ‘buyers beware rule’ and tend to be innocent. So how can you defend yourself? You need not to try to learn all the ways in which criminals defraud people. A key rule to keep in mind is that high returns usually have higher risks involved. Therefore, any other scheme making an otherwise promise should be examined thoroughly and carefully. comes with its own set of risks. Therefore, the return on any investment cannot be higher without higher risk. Many money cheater (swindler) tempts the investors by expressing their knowledge on the inside information. These people trade on this inside information, which they are otherwise required to keep as a secret. This trading is termed as ‘inside trading’ and all activities related to it are considered illegal by the market watchdog SEBI (Securities and Exchange Board of India). Such dishonest activities can also lead to punishment. One must read all the information related to the investments before making any kind of decisions. Also, check for offer documents and the prospectus of the investment for knowing about its important aspects like policies, objectives and risk factors. Other than this, another good practice one should follow is looking for public information on websites of SEBI and other stock exchanges. One should always keep oneself updated of his/her investment advisor’s background or qualification. This can be done by asking his registration and recognition details. For example before taking an advice from a stock broker, one should verify if the person is associated or registered with SEBI. Practices like these are always a good idea and should be followed. Investors, who have fell kill to fake investment schemes, can address their complaints to authorities like SEBI and even the product’s authorities. In matters of investment, it is considered a much better option to be slow and steady like a tortoise instead of being careless like a hare or rabbit. 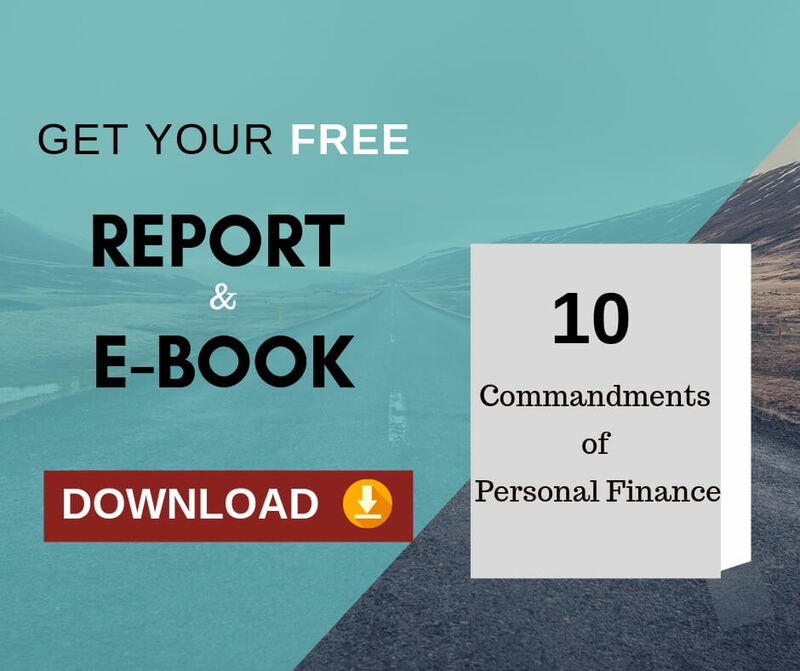 Also, one must always remember that a systematic and a continuous investment lets you earn a more fair return than a fake get-rich-quick scheme, which can even cost you losing your hard-earned money. 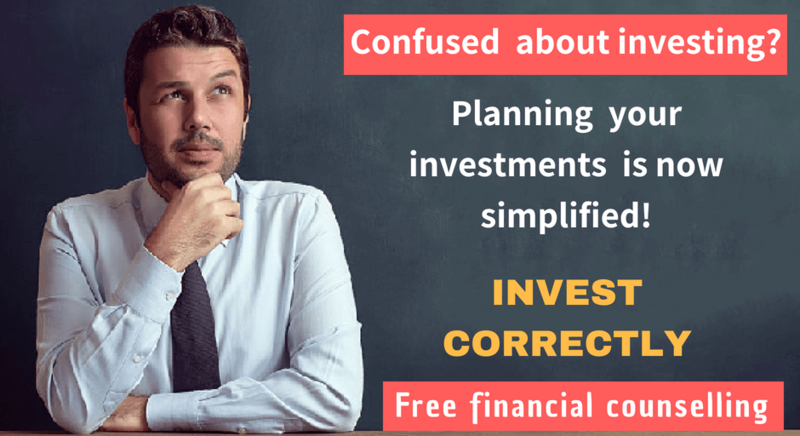 Previous Previous post: Is your financial plan really practical and workable?